Tramadol is a huge benefit to many who suffer chronic pain, since it can lessen the pain and they can still be able to engage daily activities and not be ‘zoned-out’ like they would be on Oxycontin. 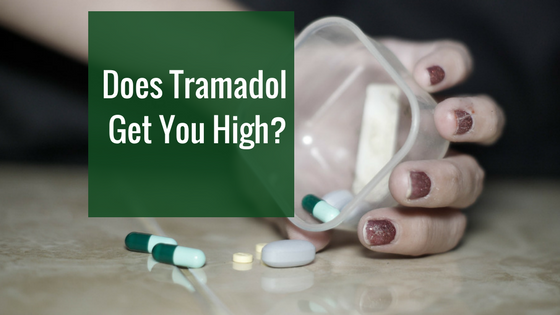 Tramadol, however, has a dark side in that it is a ‘dirty’ drug that hammers multiple receptors in the brain and can cause serious side effects such as seizures. In my experience up to 300mg per day (spread out throughout the day) is relatively safe and effective. More than that, however, even though the FDA recommends up to 400 mg per day, is in the danger zone and can lead to debilitating dependencies. I have known addicts taking up to 1.5 grams a day with life threatening consequences. Be especially careful with this drug because it can sneak up on you. Don’t take more than prescribed and don’t take more than 300mg per day long term even if you doctor says you can. Thanks for sharing your experience and knowledge of Tramadol Gary, prescription addiction is so widespread and it is so dangerous.Addicts often underestimate the danger and the side effects of the prescription medications they are abusing, especially if they have a doctors prescription to validate their use. 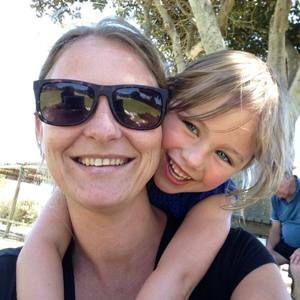 Tramadol has literally allowed me to safely care for my Mother following the sudden, unexpected death of my Father. The years of my non-stop striving to reach my dream of playing Major League baseball came at a real cost. Following 2 major shoulder operations, now 13 years removed from playing as a Division I scholarship player at North Carolina, I now face a condition that is unlike any suffering Ive faced. I now understand that nerve pain is exponentially worse than muscle tears and broken bones. My MRI showed a severe bulging disc with accompanying cysts on the spinal cord. Thus, my nerves were suffering from impingement, moreso depending on reasons I find laughable. For example, 3 days ago I was able to shovel 2 feet of snow over 3 hours with no debilitating pain, yet today I drove for 30 minutes and when I came home my nerves were seemingly on fire for the next 12 hours. Tramadol is the only medicine that lessens the unique suffering that is nerve pain, and the days I do not take it are days that are simply nothing but wasted time. Never have I experienced any euphoria from tramadol. Its simply a medication uniquely designed in a way far differently from those 10-50× stronger medications that are killing people every day. Its a shame for those whom need tramadol in order to function, and as my doctor agreed, for the rest of my fdays I will be taking tramadol. What everyone conveniently forget in the epidemic that is the heroin scourge is that there are millions of Americans whom need pain management medicine in the exact way a diabetic needs insulin. It makes me wonder just how many people there are left whom take a monent to think by way of the heart, and not the masses. Meanwhile, for the rest of my life my need for tramadol will require a monthly visit to my doctors office. Thats simply laughable. Lastly, my rheumatologist, whom years back would think nothing of giving me a script of tramadol with 6-8 refills, he- a nationally renowned rheumatologist- he described tramadol as a Super strength advil. And with that, no group of people whom brought pain and misery should not be able to cause more to millions whom they will never know. America needs to pick up its soul before its too late. To think of someone suffering as I am, unable to work, drive, exercise, etc. to think how many are told never will their doctor give them tramadol is the consequence of those people whom chose to 1st stick the needle. For that, millions more are now denued proper, humane care. Before its too late America needs to pick up its soul where people were treated as an individual and solely by way of his or her own merits. Hey Matthew I am glad you feel Tramadol is working for you and the drug that you need for your medical problems. For me as a recovering addict it is not something that I can successfully use. In fact I had a miscarriage recently and accidentally got prescribed Tramadol by my doctor. It was quite a scary experience and I can tell you now from my personal experience that this drug is dangerous. You may want to take a look at why you feel so strongly about this article that simply points out the dangers of Tramadol, it is usually when someone doesn’t want to face something that they get angry and defensive about a subject that really shouldn’t have any effect on them if there was no problem. Keep in mind that not all addicts “chose to 1st stick the needle” – I have never stuck a needle in my arm. There are many addicts that are prescription medication addicts and it is so easy to justify using legal medication that your doctor has given you permission to use. Don’t you find it concerning that you rheumatologist “would think nothing of giving me a script of tramadol with 6-8 refills”? Personally I think the world would be a better place if doctors stopped prescribing addictive and dangerous medications so freely. There are many ways to manage pain and not all of them come from a prescription pill.